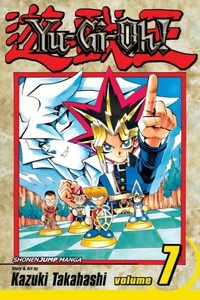 When Yugi and his friends joined a "Monster World" roleplaying game campaign, they didn't realize just how much time the game would takelike maybe the rest of their lives! Ryo Bakura, their game master, wants to use the power of his Millennium Ring to seal the souls of Yugi, Jonouchi, Anzu and Honda inside his "Monster World" miniatures forever. Now, with 10sided dice in hand, Yugi and Dark Yugi must hack and slash their way through Bakura's adventure and defeat the Dark Master Zorc...or die trying!